Some great runs at the Inverness half marathon this morning. 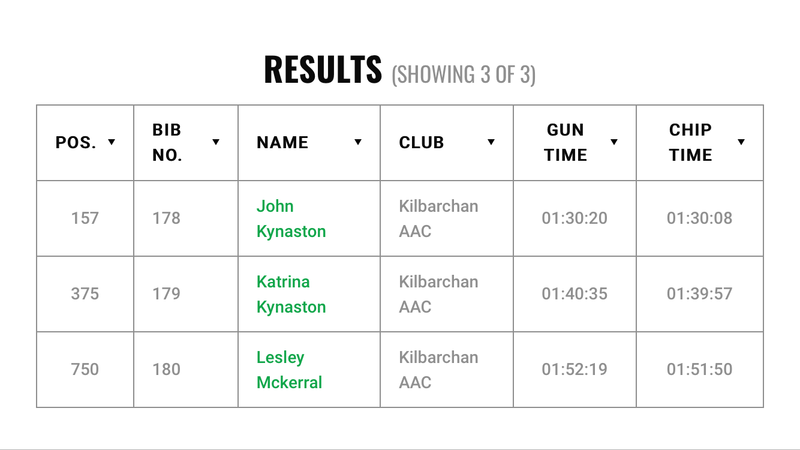 John Kynaston was first Kilbarchan runner home in 1:30:08, followed by Katrina Kynaston in a superb PB of 1:39:57. Johns daughter also finished her first ever half in 1:56:48 (family photo finish above). Lesley McKerral also ran well in 1:51:50.